Animal eyes come in a variety of beautiful, striking colors — blue, green, brown, violet, yellow and, occasionally, a combination of two or more. Having two different-colored eyes, a unique calling card for celebrities such as David Bowie and Kate Bosworth, can actually be quite common in household pets, namely dogs and cats. This condition, known as heterochromia iridum, has inspired quite a few myths and legends. 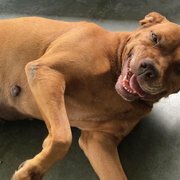 One myth even claims that dogs with this special trait have the power to see heaven with one eye and earth with the other. So what is the real reason why dogs and cats have two different-colored eyes? The cause of this trait is not quite as mystical as it seems. You can chalk this variation in eye pigmentation up to good ol’ genetics, explains veterinary ophthalmologist Dr. Laura Proietto. This differentiation in melanin, the pigment that gives our skin, hair and eyes their distinctive shade, is evident as soon as a puppy or kitten takes her first look at the world. 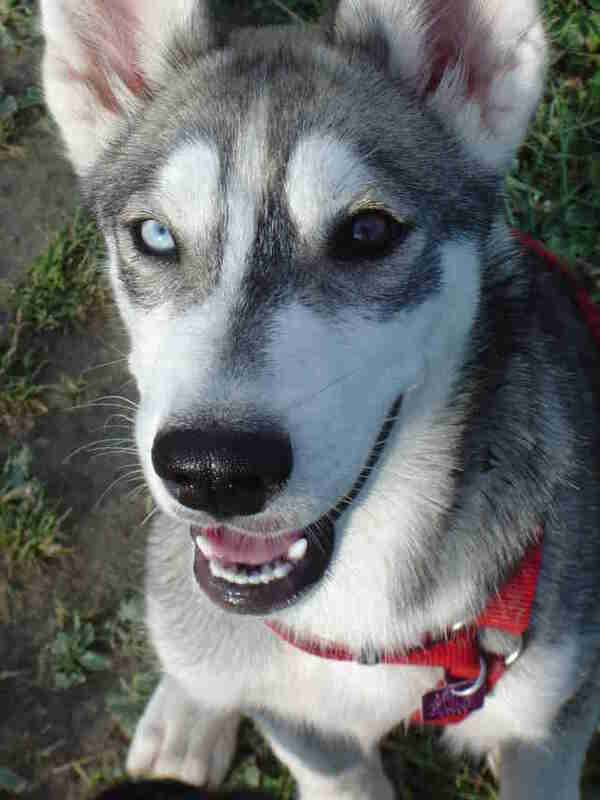 The more variation in coat pattern, the more likely a dog is to have blue eyes or different-colored eyes, notes Proietto. 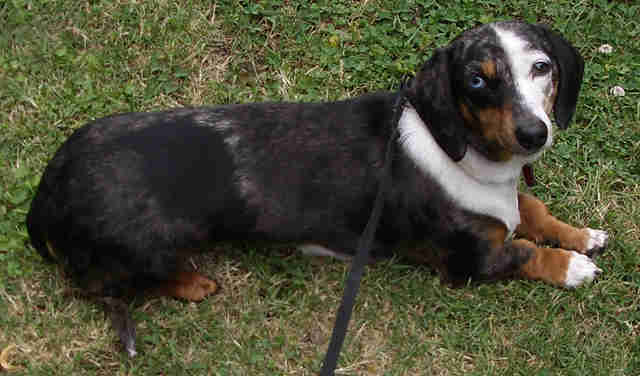 The difference in color between eyes (heterochromia iridum) or within the same eye (heterochromia iridis) is more common in breeds that carry the merle gene, which produces coats with a “great variation in pigmentation,” such as dapple, harlequin or white coats. While rare in breeds like Labradors and poodles, explains Proietto, having eyes of different colors (sometimes referred to as being “bi-eyed”) is fairly common in Australian cattle dogs and shepherds, boxers, collies, Great Danes, dachshunds, Dalmatians, malamutes, Old English sheepdogs, Siberian huskies and Weimaraners. In cats, the trait can be found in breeds including Siamese, Burmese, Abyssinian and Persian. Complete heterochromia can often be found in white cats, where the white gene or white spotting gene creates a loss in pigment, turning one eye blue and the other green, yellow or brown. 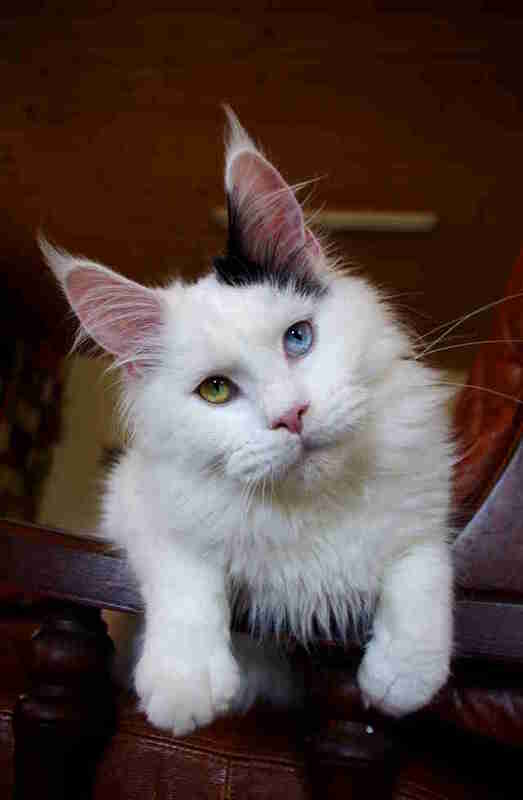 A feline with this coloring is commonly referred to as an “odd-eyed cat." When occurring naturally, a dog or cat born with this unique eye color is usually perfectly healthy — however, they should never be bred that way on purpose, as animals can be born deaf or blind. The condition should not affect a dog or cat’s eyesight unless they have other genetic abnormalities in eye structure sometimes associated with heterochromia, such as a coloboma, explains Proietto, which in rare cases can cause blindness.